With a rich cultural background and excellent service, the Guangzhou Garden Hotel has earned country-wide commendation by winning the prestigious Platinum Five-Star Award issued by the China National Tourism Administration. 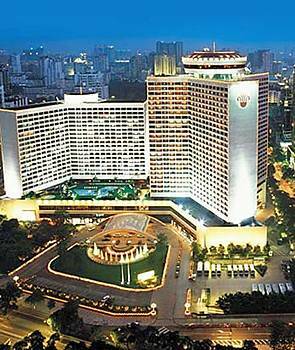 This is the highest hospitality award in China. The Garden Hotel is conveniently located, having easy access to Baiyun International Airport, the train station, and all your transportation needs. 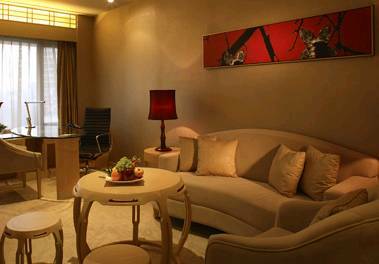 It has easy access to Pazhou Complex and many other popular attractions in Guangzhou. A well-equipped Business Centre, ten highly versatile function rooms, and a grand Garden Ballroom make the Garden Hotel an ideal venue for meetings and banquets. The hotel also features a tranquil garden, many dining options, a wide range of amenities and exceptional recreational facilities. These include an outdoor swimming pool, tennis and squash courts, and a relaxing spa. This outstanding combination will certainly add the crowning touch to your trip. Garden Hotel has 828 guest rooms including Superior Room, Deluxe room,Deluxe Suite, Elite room, Executive room, Mansion Suite and Excutive suite. Deluxe Room has both bathtub with one king size bed or two single bed located at 5th - 17th Floor; There is only one Deluxe Suite(Two bedroom, two living room)which located in 28th Floor; Executive Room has both bathtub & shower bath located at 24th - 28th Floor; Elite room has bathtub with one king size bed or two single beds located at 18th - 21st Floor; Mansion Suite has two king size bed or three singel beds located at 22nd, 23th, 26th Floor.